Thread: Farting around with leather. Inor if Hawg or Dwight don't want the job shoot me a PM and I'll see what I can come up with. Haven't done a chainsaw scabbard before, could be an interesting project although the leather will eventually end up soaked in bar oil. But what the hell, I'll try anything once. 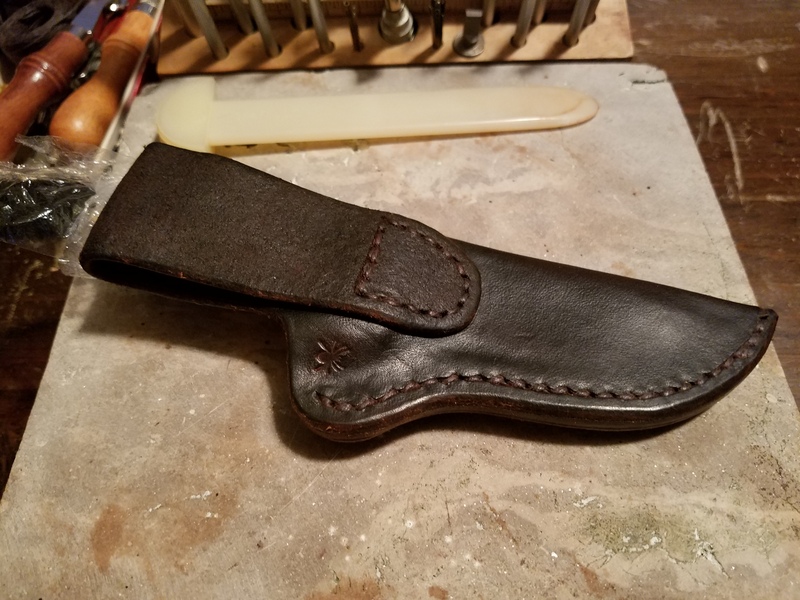 Finally got the southpaw sheath wet molded now to let it dry. Extra knife comes in handy. I usually have 2 on me when I'm deer hunting. I most always have a neck knife, and a folder when walking around. In the woods, usually just a small case fixed blade in addition to the other 2. 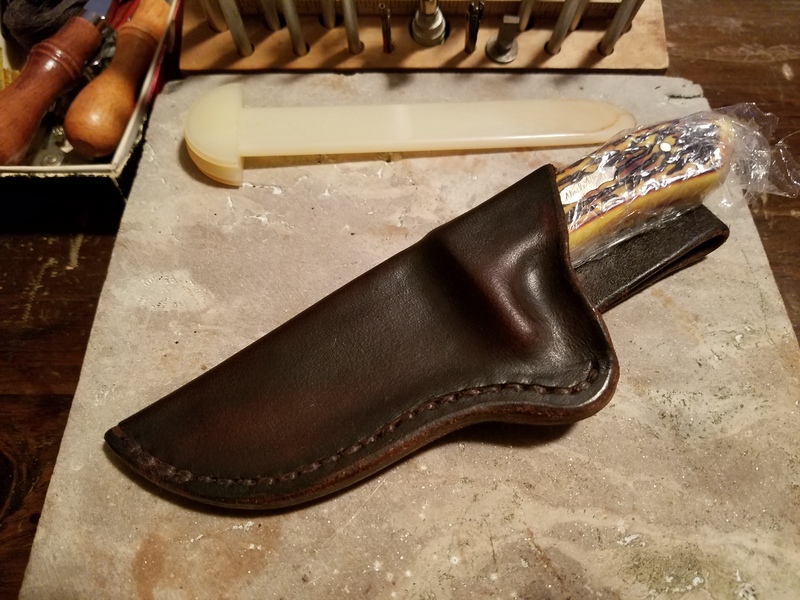 Sheath looks great, nice work. Thanks! Small improvements and learning to cover mistakes lol! 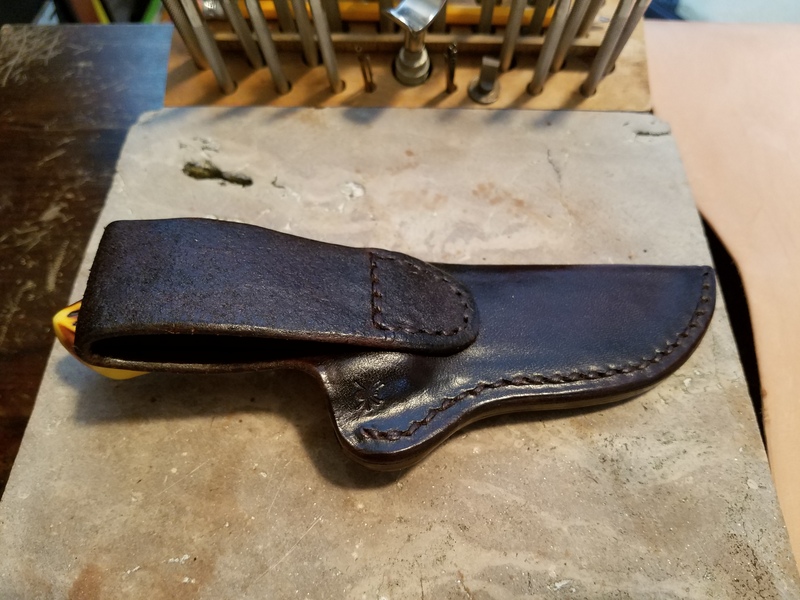 With that style of retention you could make a nice neck knife sheath BBs post made me think of it. Yeah for sure when the leather dries from the wet mold and when the top coat finish is dried these things are hard as a rock. Its like the molded kydex but better because leather has class! 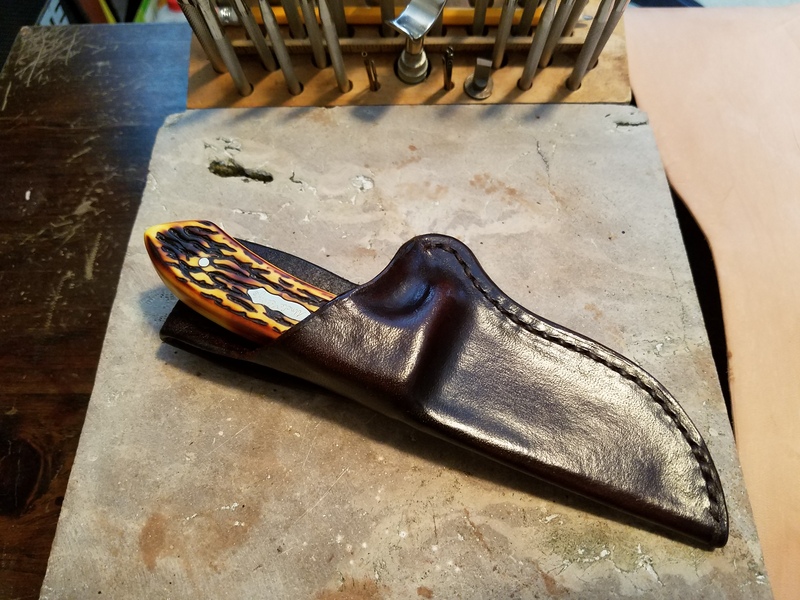 Got two coats of Resolene on the southpaw sheath its drying now. I'll have her bring the knife when you guys come for grandson b day and we'll make sure her knife fits good. Maybe a redo on one of the chrome tanned I did?